On April 7, 2017, I proclaimed Gahanna a Pollinator Community. Since then, the efforts put forth by our Department of Parks & Recreation have allowed the city to achieve the status of Bee City USA — the first central Ohio city to receive this recognition. In the last three months, the city has also joined the National Wildlife Federation-Mayor’s Monarch Pledge and the Ohio Pollinator Habitat Initiative, as well as celebrated our 28th year as a Tree City USA community. Our parks division has made tremendous progress with several initiatives around the city, starting with removing invasive species such as honeysuckle, grapevine and privet that suppress the native species. You may have seen the new planting bed behind Creekside Cafe which is now thriving with new native plants that provide crucial habitat for pollinators while controlling erosion. The wildflower prairies at Gahanna Woods are an all-year food source for a variety of pollinators including moths, birds, native bumblebees, butterflies and hummingbirds. New micro-climate designs at the Geroux Herb Garden considered the soil, light and watering needs of the land and were paired with native plants and lesser-known herbs to reduce watering, provide for year-round food sources and color and, ultimately, require less maintenance. 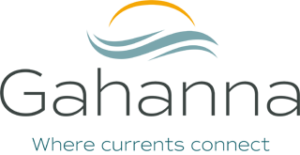 Another initiative is the use of “low-mow zones” in Hannah, Friendship, Lower McCorkle, Gahanna Woods and Woodside Green Parks. Once established, the long-term benefits of these areas include stabilizing the soil to reduce erosion, slowing stormwater runoff and filtering pollutants such as fertilizers and pesticides that would have otherwise entered the groundwater or streams. Fiscal savings to our taxpayers include lower maintenance costs of our green space with fewer hours of labor, less fuel and equipment wear and tear and a decrease of herbicides and fertilizers to maintain those areas. As a Gahanna resident, I am looking forward to putting pollinator-friendly practices to work in my own yard. Here are a few tips for attracting pollinators to your garden and flower beds this fall and protecting pollinators during the coldest months of the year. * Keep tall, ornamental grasses free-standing. Native bees and butterflies will shelter here. * If you must cut tall grasses, consider “chop and drop.” This creates a natural mulch that will protect perennials and give shelter to pollinators. * Rake leaves into your flower beds to add good nutrients to your soil as a natural fertilizer and to provide shelter for native pollinators. * Create natural bird feeders by keeping the seed heads on flowers. * Plant bulbs for springtime flowers before the first frost. * Research what pollinators you want to attract in the spring and summer then plan changes to your garden or landscape accordingly. * Consider native species of plants and avoid many popular invasive species such as purple loosestrife. The Ohio Department of Natural Resources provides alternative to Ohio’s top invasive plant species at ohiodnr.gov/ invasiveplants. 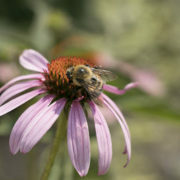 * Take advantage of upcoming programs such as the Earthy Herbal Garden Series or the Beekeeper’s Year at the Ohio Herb Education Center (ohioherbcenter.org) to learn more. These initiatives are fun, productive and environmentally friendly and I encourage residents and businesses to look for similar ways to be eco-friendly and help our natural pollinators. Their world is shrinking as ours is growing. To learn more about our pollinator-friendly initiatives contact the Ohio Herb Education Center at 614.342.4380.